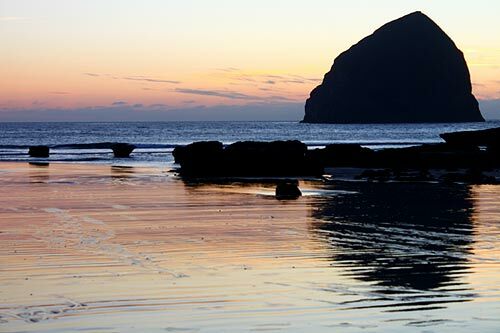 Sunsets are, of course, a visual diet staple along the Oregon coast. It's hard to get tired of them. 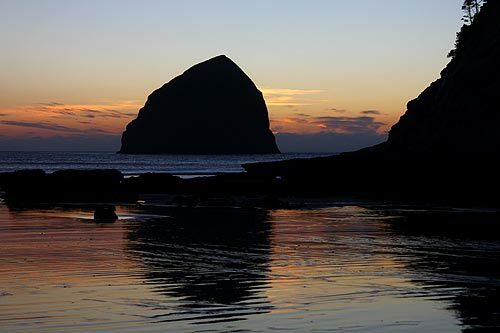 Here, at Pacific City, along the Three Capes Loop, a fiery sunset gets especially radiant in these conditions as Cape Kiwanda helps create more of a distinct outline from which to frame the scene. Below, the curious rocky slabs that inhabit the area are seen as well.